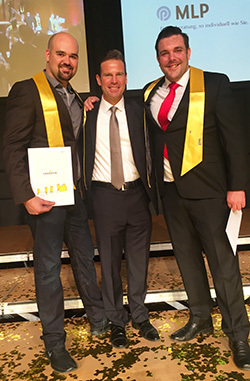 December 21, 2017 — Ken Brenneman, of Riverton, and Dan Foreman, from Olathe, Colo., are the first graduates of the University of Wyoming’s international management dual degree Master of Business Administration (MBA) program. December 21, 2017 — Two University of Wyoming faculty members and a student are scheduled to speak about UW’s Science Initiative Thursday, Dec. 28, at the Kiwanis Club of Cheyenne’s weekly membership meeting. December 21, 2017 — One hundred four outstanding high school seniors from across Wyoming have been selected to receive the 2018 Trustees’ Scholars Award, the University of Wyoming's top academic scholarship. 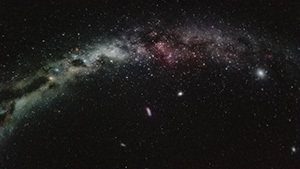 December 21, 2017 — The New Year brings a variety of programs -- ranging from whether there is alien life, to an exploration of the moon to a guide on Wyoming stargazing -- to the University of Wyoming Harry C. Vaughan Planetarium. December 21, 2017 — A weekly look at issues facing Wyoming business owners and entrepreneurs from the Wyoming Small Business Development Center (WSBDC) Network, a collection of business assistance programs at the University of Wyoming. December 20, 2017 — Small-business owners in Wyoming can learn about fire season contracting opportunities with the U.S. Forest Service. 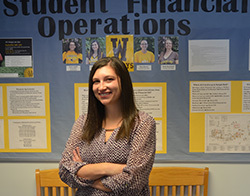 December 20, 2017 — Yara Thomas has always had a connection with the University of Wyoming, and it led to a life-changing opportunity this summer. 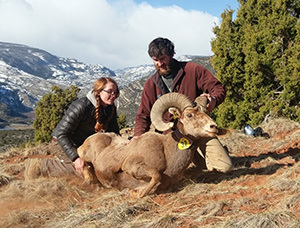 December 20, 2017 — Although contrary to prevailing notions, hunting of female bighorn sheep may well be one of the most effective ways to increase the number of trophy rams in North American bighorn sheep populations, according to researchers at the University of Wyoming and other institutions. December 20, 2017 — The University of Wyoming Operations department has issued recommendations to ensure safety and security in all buildings during lengthy closures or anticipated periods of extremely cold weather. December 20, 2017 — Two film studios released films this year to capitalize on the Christmas season. They could not be more different. December 19, 2017 — The Winter Club and Organization Fair will be held Thursday, Jan. 25, from 11 a.m-1 p.m. in the University of Wyoming Union breezeway. 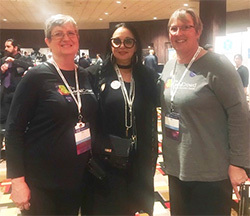 December 19, 2017 — Reinette Redbird Tendore comes from a Wind River Indian Reservation family that truly values education. December 19, 2017 — The University of Wyoming Trustees Education Initiative (TEI) Board is scheduled to meet Wednesday, Jan. 3, at 10 a.m. via teleconference. 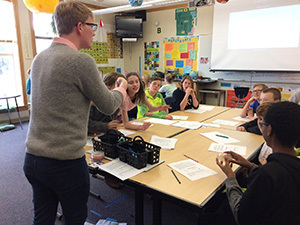 December 19, 2017 — A University of Wyoming faculty member and three students have been visiting K-12 classrooms across the state this fall in an effort to promote UW’s Science Initiative and active-learning concepts in the classroom. December 18, 2017 — Scholarship applications are now available from the Chief Washakie Memorial awards committee for the 2018-19 academic year at the University of Wyoming. 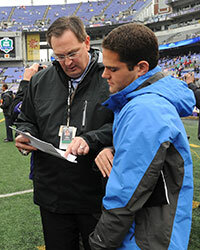 The application deadline is Thursday, March 1. December 18, 2017 — Most University of Wyoming business and administrative offices will be closed Friday, Dec. 22-Monday, Jan. 1, for the Christmas and New Year’s holidays as well as winter break. Normal business hours will resume Tuesday, Jan. 2. December 18, 2017 — University of Wyoming Information Technology has recognized individuals who demonstrate excellence in the division. 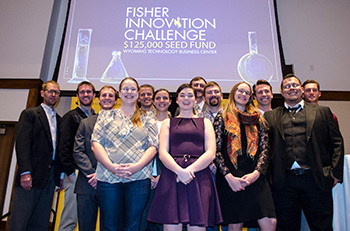 Winners were selected from nominations by UW faculty and staff members. December 18, 2017 — The University of Wyoming will have a strong presence at the National Western Stock Show (NWSS) in Denver in January, including a “UW Night at the Rodeo” and a booth in the stock show’s Expo Hall. 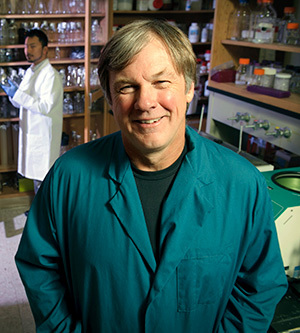 December 18, 2017 — University of Wyoming researchers played a major role in the creation of a key resource designed to facilitate worldwide biomedical research in glycobiology, which focuses on structural and functional analysis of complex carbohydrates. December 15, 2017 — The Northern Arapaho Endowment Scholarship Committee is accepting applications from full-time students for scholarship awards at the University of Wyoming. The scholarships are for the 2018-19 academic year. December 15, 2017 — The Albany Community Health Clinic (ACHC), a program in the University of Wyoming College of Health Sciences, recently received a grant to help expand access to mental health and substance abuse services. 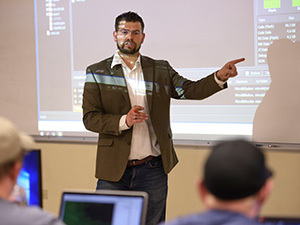 December 15, 2017 — Efforts to improve cybersecurity throughout Wyoming have picked up steam over the past few months, thanks to the College of Engineering and Applied Science at the University of Wyoming. 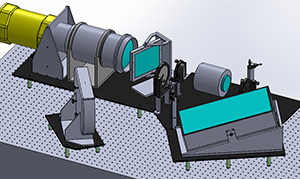 December 15, 2017 — Two University of Wyoming physics and astronomy researchers recently secured separate grants that will complement each other in the search for extrasolar planets. December 15, 2017 — The University of Wyoming’s Enhanced Oil Recovery Institute (EORI) is evaluating applications for the Wyoming Reservoir Pilot Test Data Acquisition Program (WRPTDAP). 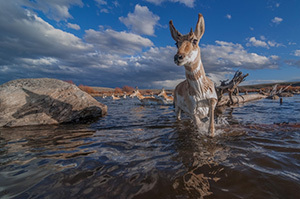 December 15, 2017 — A weekly look at issues facing Wyoming business owners and entrepreneurs from the Wyoming Small Business Development Center (WSBDC) Network, a collection of business assistance programs at the University of Wyoming. December 14, 2017 — Members of the University of Wyoming’s senior honor society recently honored their “Top Profs” at the 38th annual Top Prof Night. December 13, 2017 — Years ago, Danny Dale used to visit Laramie’s Beitel and Spring Creek elementary schools -- where his daughters attended school -- and taught mini-science lessons to the young students there. December 13, 2017 — Consumers might be more naughty than nice when shopping this holiday season and facing a “should I or shouldn’t I” purchase. December 12, 2017 — Small-business owners in Wyoming can learn how to grow their profits by increasing production and sales while simultaneously reducing downtime and inventory costs. December 12, 2017 — One dollar invested in tobacco stocks in 1900 would be worth $6.2 million today. With cigarettes responsible for an estimated 480,000 deaths each year, would the profit gained from investing in the product be worth the loss of life? 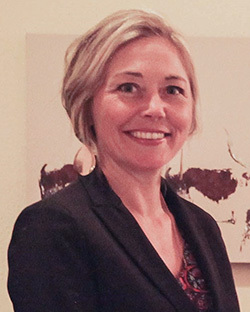 December 11, 2017 — Ariel Daugherty has a reputation for “providing amazing customer service to students, while maintaining compassion and a professional image” as the interim supervisor of Student Financial Operations at the University of Wyoming. 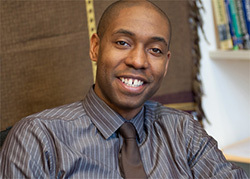 December 11, 2017 — Jason Thompson, the first elected black Associated Students of the University of Wyoming (ASUW) president during the 1996-97 academic year, is the keynote speaker for the annual Martin Luther King Jr. Days of Dialogue (MLK DOD) celebration early next semester. December 11, 2017 — Two University of Wyoming faculty members recently received $6,000 in grant funding for the adoption of free and open textbooks, and the creation of open course materials. 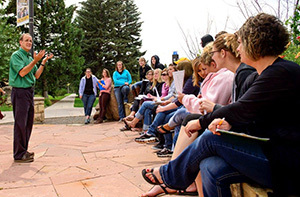 December 11, 2017 — The University of Wyoming aims to create a new pipeline of future educators by connecting with high school students across the state in an innovative teacher training program. December 11, 2017 — The University of Wyoming Board of Trustees recently approved the following personnel items. December 11, 2017 — In preparation for launch of the new WyoCloud Planning and Budgeting system Jan. 22, a University of Wyoming campus informative town-hall meeting is scheduled Tuesday, Dec. 12. December 8, 2017 — The University of Wyoming Board of Trustees will consider a number of issues during a meeting at 8 a.m. Wednesday, Dec. 13, via teleconference. 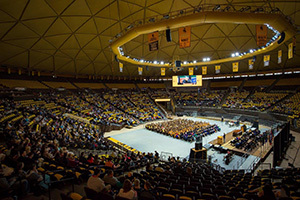 December 8, 2017 — The University of Wyoming is scheduled to accord degrees on 714 students during a combined winter commencement ceremony Saturday, Dec. 16, at 10 a.m. in the UW Arena-Auditorium. December 8, 2017 — A weekly look at Wyoming business questions from the Wyoming Small Business Development Center (WSBDC), part of WyomingEntrepreneur.Biz, a collection of business assistance programs at the University of Wyoming. December 7, 2017 — The schedule has been adjusted for University of Wyoming presentations before the state’s ENDOW Executive Council Monday and Tuesday, Dec. 11-12. 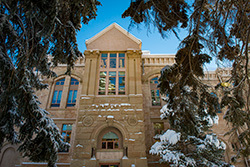 December 6, 2017 — Details about the University of Wyoming’s interaction with the state’s 23 counties are available online. December 6, 2017 — The University of Wyoming’s role in economic development and diversification will be front and center when the state’s ENDOW Executive Council meets on campus Monday and Tuesday, Dec. 11-12. December 6, 2017 — Staff Senate and Transit and Parking Services are combining for a food drive through Friday, Dec. 15, that will help eligible University of Wyoming families this holiday season. 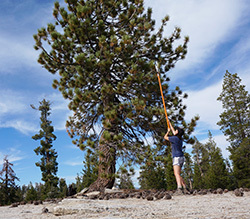 December 6, 2017 — Trees growing atop the Bald Mountain Granite in the southern Sierra Nevada rely on nutrients from windblown atmospheric dust -- more than 50 percent -- compared to nutrients provided from underlying bedrock. December 4, 2017 — To help get students through finals week, the University of Wyoming’s 7220 Entertainment will host its semiannual destresser event Friday, Dec. 8, at 9 p.m. in the Wyoming Union. The event is free and open to all UW students. December 4, 2017 — Starting today (Monday), people can explore key University of Wyoming facilities and hear from UW students about campus life without stepping foot on university grounds. December 4, 2017 — University of Wyoming faculty, postdoctoral students and graduate students can learn about developing new technology with SBIR/STTR funding within a university setting. December 4, 2017 — The University of Wyoming Department of Music presents a Gala Holiday Concert Dec. 9-10 in the Buchanan Center for the Performing Arts concert hall. 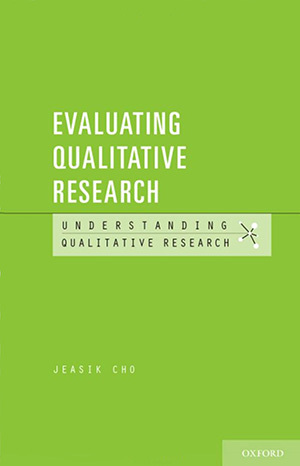 December 4, 2017 — It is important for qualitative researchers to be thorough and efficient when making judgments on whether conference proposals, manuscripts or large-scale grant applications should be accepted or rejected. December 4, 2017 — In preparation for launch of the new WyoCloud Planning and Budgeting system Jan. 22, a University of Wyoming campus informative town-hall meeting is scheduled Tuesday, Dec. 12. 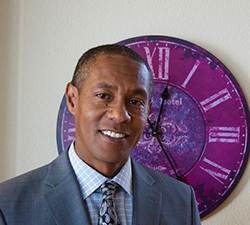 December 1, 2017 — Overcoming adversity and excelling in school despite personal family tragedies are the qualities that enabled Rae’l Trosper to receive the Honorary Cowboy Award from the Associated Students of the University of Wyoming (ASUW), the student government. 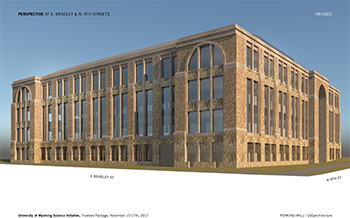 December 1, 2017 — The University of Wyoming would proceed with construction of a new Science Initiative building under Gov. Matt Mead’s budget proposal for the upcoming biennium. 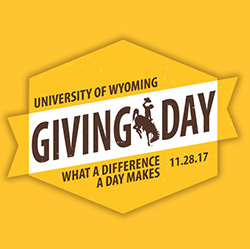 December 1, 2017 — The University of Wyoming’s third annual UW Giving Day was a resounding success, raising $364,455 in gifts and pledges in a single day -- money that supports academic programs across campus. December 1, 2017 — A weekly look at Wyoming business questions from the Wyoming Small Business Development Center (WSBDC), part of WyomingEntrepreneur.Biz, a collection of business assistance programs at the University of Wyoming. 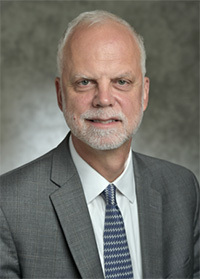 November 30, 2017 — The University of Wyoming’s new vice president for research and economic development has been honored by the U.S. Department of Energy (DOE) for his efforts to develop nuclear fusion as an energy source. November 30, 2017 — Identifying pollinators in Wyoming, their lifecycles and how to attract them are part of a new booklet from University of Wyoming Extension. 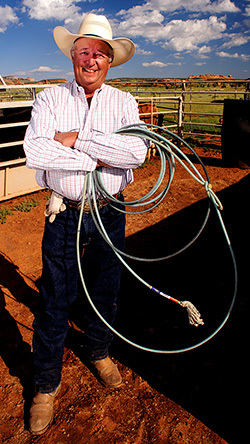 November 29, 2017 — A public memorial service for longtime University of Wyoming rodeo club Coach George Howard is planned Saturday, Dec. 2, at 1 p.m. at UW’s Cliff and Martha Hansen Livestock Teaching Arena, 306 Highway 230, 2 miles west of Laramie. Refreshments will follow the service. 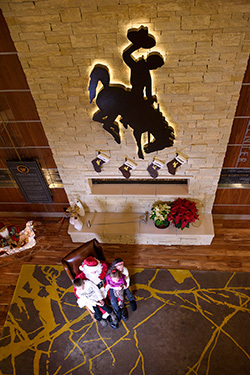 November 29, 2017 — University of Wyoming President Laurie Nichols and her husband, Tim, will host a Holiday Open House Wednesday, Dec. 6, from 4:30-6:30 p.m. at the Marian H. Rochelle Gateway Center for all UW employees and students, their families and members of the Laramie community. November 29, 2017 — From Thanksgiving to Christmas, America embarks on a monthlong obsession with food. And, not just any food, but the food of feasting, of special times. One of those foods is chocolate. 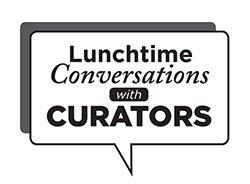 November 28, 2017 — The University of Wyoming Art Museum will host “Lunchtime Conversations with Curators” Wednesday, Dec. 6, from noon-12:30 p.m.
November 28, 2017 — The University of Wyoming Department of Theatre and Dance closes the semester with “Fall for Dance,” featuring works by Dance Theatre of Harlem (DTH) repertoire Friday-Saturday, Dec. 1-2, at 7:30 p.m. and Sunday, Dec. 3, at 4 p.m. on the Buchanan Center for the Performing Arts main stage. November 27, 2017 — University of Wyoming President Laurie Nichols will allow two hours of release time for employees to attend the UW Holiday Market Friday, Dec. 1. November 27, 2017 — University of Wyoming President Laurie Nichols has issued the following statement regarding longtime UW rodeo Coach George Howard, who died Sunday, Nov. 26, at a Casper hospital, according to the Converse County Sheriff’s Office. 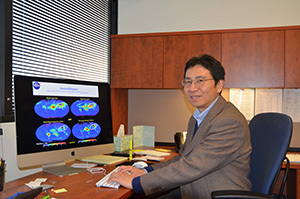 November 27, 2017 — For the fourth consecutive year, Xiaohong Liu has made Clarivade Analytics’ (formerly Thomas Reuters) list as one of the world’s most highly cited researchers in the field of geosciences. November 27, 2017 — The University of Wyoming’s Risk Management Office reminds individuals who know they will drive on UW business during 2018 to make a new request by Friday, Dec. 1. 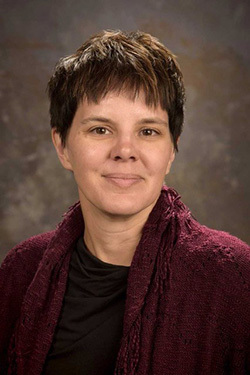 November 27, 2017 — The University of Wyoming will likely begin a search late in the current academic year for a new director of the American Heritage Center (AHC), following the resignation of Director Bridget Burke. November 22, 2017 — For many, shorter days and longer nights in December are not especially welcome. Astronomers and stargazers likely will beg to differ as they have more opportunities to explore the universe. 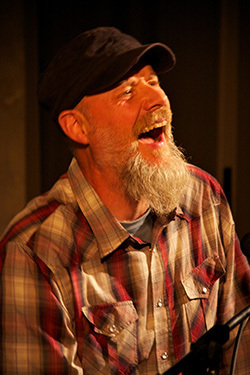 November 22, 2017 — The folk music group Elephant Revival and featured special guest The Deer, will perform at the University of Wyoming Wednesday, Nov. 29, at 8 p.m. in the lower level of the Wyoming Union. November 22, 2017 — Jason Shogren, the Stroock Professor of Natural Resource Conservation and Management in the University of Wyoming Department of Economics, will give the fall Faculty Senate Speaker Series talk Thursday, Nov. 30. The event is free and open to the public. 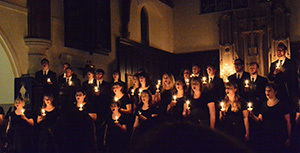 November 22, 2017 — “The Opening” is the theme for the University of Wyoming Collegiate Chorale’s popular candlelight concert Wednesday, Dec. 6, and Thursday, Dec. 7, at 7:30 p.m. at St. Matthew’s Cathedral. November 22, 2017 — A weekly look at Wyoming business questions from the Wyoming Small Business Development Center (WSBDC), part of WyomingEntrepreneur.Biz, a collection of business assistance programs at the University of Wyoming. November 21, 2017 — Small-business owners in Wyoming have an opportunity to learn about business opportunities with the U.S. Department of Defense (DOD). 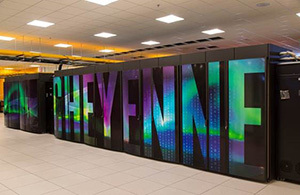 November 21, 2017 — University of Wyoming faculty members interested in using the National Center for Atmospheric Science (NCAR)-Wyoming Supercomputing Center (NWSC) in Cheyenne for their computational research have until Dec. 22 to submit applications to request large core-hour allocations on Cheyenne, the newly installed supercomputer at the NWSC. 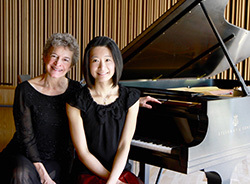 November 21, 2017 — The University of Wyoming Symphony Orchestra’s “Season of Joy” continues with “Deux Pianos, Deux” Thursday, Nov. 30, at 7:30 p.m. in the Buchanan Center for the Performing Arts concert hall. 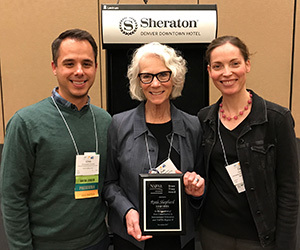 November 20, 2017 — Ruth Shepherd, assistant director of the University of Wyoming’s Education Abroad Office, was recognized for her outstanding contributions to the field of international education at a recent conference of NAFSA: Association of International Educators in Denver. November 20, 2017 — Most University of Wyoming business and administrative offices will be closed Thursday and Friday, Nov. 23-24, for Thanksgiving. UW classes will be dismissed Nov. 22-24. November 20, 2017 — It can be easy for students to not feel connected in an online environment -- particularly in classes that aren’t conducted live. 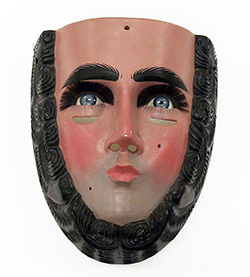 When you don’t have any personal interactions, or even see faces, it may not seem like there is anyone listening to you. 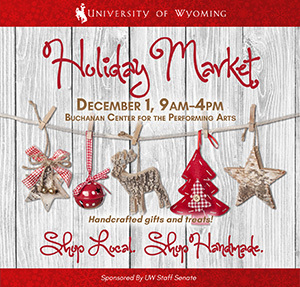 November 20, 2017 — The University of Wyoming Holiday Market will return Friday, Dec. 1, with a new sponsor and at a new venue. November 20, 2017 — University of Wyoming Information Technology is seeking nominations for its semiannual program to recognize individual excellence in the division. November 20, 2017 — Two University of Wyoming researchers have been named Fellows of the American Association for the Advancement of Science (AAAS), the world’s largest general scientific society. 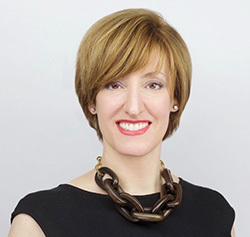 November 20, 2017 — The curator of academic initiatives at Duke University’s Nasher Museum of Art has been named as director of the University of Wyoming Art Museum. November 17, 2017 — Small businesses have an opportunity to learn how to protect their data, systems and intellectual property from cyber threats; respond to events; and recover quickly if these events occur. 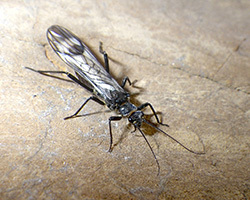 November 17, 2017 — The recent discovery of a rare aquatic insect in Grand Teton National Park by University of Wyoming researchers may keep it off the endangered species list. November 17, 2017 — A weekly look at Wyoming business questions from the Wyoming Small Business Development Center (WSBDC), part of WyomingEntrepreneur.Biz, a collection of business assistance programs at the University of Wyoming. November 16, 2017 — “What a difference a day makes!” That’s the slogan of this year’s #UWGivingDay. November 16, 2017 — The official call for entries is available online for the University of Wyoming Art Museum’s 43rd annual Juried UW Student Exhibition. November 16, 2017 — University of Wyoming students will receive enhanced advising, career preparation and other student services following the UW Board of Trustees’ approval of a plan to institute cost-based fees for academic programs. November 15, 2017 — University of Wyoming students in Department of Communication and Journalism Professor Tracey Patton’s class are hosting a chili cook-off to raise awareness of post-traumatic stress syndrome (PTSS). November 15, 2017 — A financial consultant will discuss the framework for finance leadership and executive decision making with University of Wyoming Master of Business Administration (MBA) Program students Friday, Nov. 17. November 15, 2017 — Small-business owners can learn what the Small Business Innovation Research (SBIR) and Small Business Technology Transfer (STTR) programs are and explore whether they are a good fit for their companies or products. November 15, 2017 — University of Wyoming faculty, staff and students, and a Laramie community member received Diversity, Equity and Inclusion Awards during a recent ceremony on campus. November 15, 2017 — The celebration of Thanksgiving as a national holiday in late November was not enacted until the 1870s. The official reason was to commemorate the landing at Plymouth of the nation’s Puritan forefathers and foremothers. 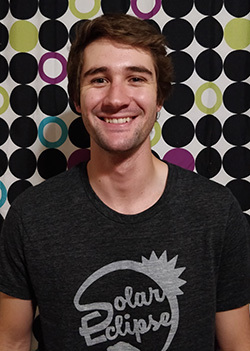 November 15, 2017 — University of Wyoming student Wyatt Emery, of Carpenter, was selected for the Department of Defense (DOD) Science, Mathematics and Research for Transformation (SMART) scholarship this past summer. November 14, 2017 — The University of Wyoming Symphonic Band will present a fall concert Monday, Nov. 20, at 7:30 p.m. in the Buchanan Center for the Performing Arts concert hall. 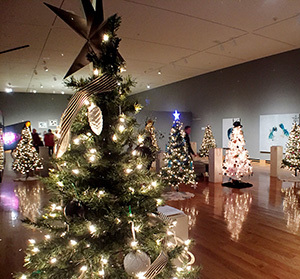 November 14, 2017 — The University of Wyoming Art Museum will launch the holiday season with two free public celebrations, the Festival of Trees and the 25th annual Happy Holidays, Laramie!, Nov. 30-Dec. 2. 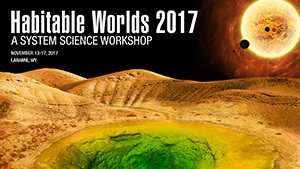 November 14, 2017 — A group of approximately 150 scientists who look to the sky for potential habitable exoplanets has converged on the University of Wyoming this week. November 14, 2017 — A six-foot-wide snow blower mounted on a tractor makes a lot of sense when you live on the Tug Hill plateau. November 13, 2017 — Two finalists for the position of director of scholarships and financial aid at the University of Wyoming are scheduled to visit UW this week. November 13, 2017 — Good gardeners know that every beautiful flower starts as a seed. They also know that it takes the right amount of sunlight, water and fertilizer for that seed to complete its transformation. Foundational reading skills are the seeds of reading comprehension. If these “seeds” are planted at an early age and nurtured by teachers and parents, students will have a much greater chance of blossoming into great readers. November 13, 2017 — Individuals who know they will drive on University of Wyoming business during 2018 need to make a new request by Dec. 1, 2017. November 10, 2017 — Geography Awareness Week at the University of Wyoming has a theme this year of “The Role of Geography in Civil Rights Movements” and a keynote speech focused on Minneapolis’s black community that will use Prince’s music for context. November 10, 2017 — It will be a homecoming when Laramie siblings and University of Wyoming graduates Shelby and Jacob Means return to perform with their respective acts Friday, Nov. 17, in the final UW Presents performances of the fall semester. November 10, 2017 — The University of Wyoming Wind Symphony will present its second performance of the fall semester with “Classic Creations -- From Angels to Sousa” Thursday, Nov. 16, at 7:30 p.m. in the Buchanan Center for the Performing Arts concert hall. November 10, 2017 — A weekly look at Wyoming business questions from the Wyoming Small Business Development Center (WSBDC), part of WyomingEntrepreneur.Biz, a collection of business assistance programs at the University of Wyoming. 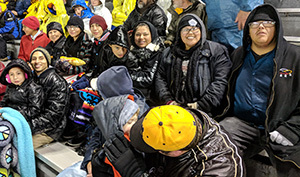 November 10, 2017 — The University of Wyoming is playing host to the Wyoming State High School Football Championships Friday and Saturday, Nov. 10-11. November 9, 2017 — A series of events is scheduled at the University of Wyoming during International Education Week Nov. 13-18, ranging from presentations on education abroad, the Peace Corps and international alternative breaks to a belly dance workshop and dance competition. 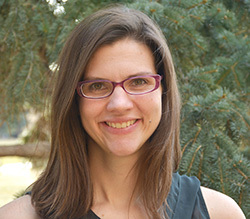 November 9, 2017 — Next semester, University of Wyoming students in College of Education Associate Professor Andrea Burrows’ “Science Methods II” class will be student-teachers across the state. 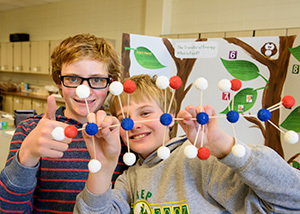 This time next year, they each hope to be teaching their own middle and high school science classes. That’s why practical, hands-on experience putting the concepts they’ve learned to the test is so important. November 9, 2017 — The University of Wyoming’s Rocky Mountain Herbarium is a leading partner in a $2.9 million award from the National Science Foundation (NSF) to create a comprehensive digital archive of more than 1.7 million plant specimens native to the southern Rocky Mountain region. November 8, 2017 — Two speakers -- one an executive with the NFL’s Baltimore Ravens, the other the chief executive officer of Blue Cross Blue Shield of Wyoming -- will discuss their respective business careers with University of Wyoming Master of Business Administration (MBA) Program students Friday, Nov. 10. November 8, 2017 — Small-business owners in Wyoming will have an opportunity to learn actionable tips that will supercharge their marketing strategies and help small businesses compete successfully online, without draining their bank accounts. November 8, 2017 — The University of Wyoming Energy Resources Council (ERC) will meet at 8 a.m. Friday, Nov. 17, at the Hilton Garden Inn in Laramie. 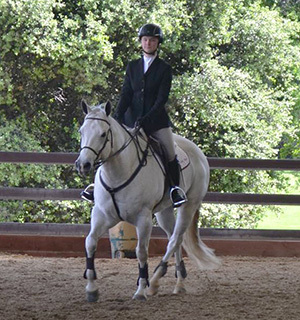 November 8, 2017 — The University of Wyoming hunt seat equestrian team was the high-point club both days in the final competition of the fall semester last weekend in Colorado Springs, Colo.
November 8, 2017 — Does the current sociopolitical scene have you down? 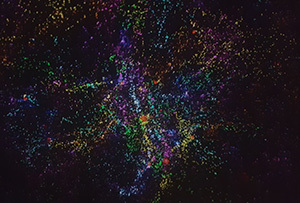 Need a breather from social media bubbles? Wondering if the First Amendment is going down the tubes? 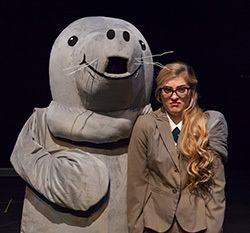 The University of Wyoming Department of Theatre and Dance has the show for you, say the play’s producers. November 8, 2017 — The University of Wyoming Board of Trustees is scheduled to consider proposals on student program fees, entrepreneurship, a new tourism and natural resources degree, a salary policy and other issues during its regular meeting Wednesday through Friday, Nov. 15-17. November 8, 2017 — Laramie-based business The Local Crowd has been recognized for its contributions to the international crowdfunding industry. November 7, 2017 — Finalists for the position of director of scholarships and financial aid at the University of Wyoming have been identified, and they are scheduled to visit UW beginning this week. November 7, 2017 — The University of Wyoming Half Acre Recreation and Wellness Center, and the University Counseling Center will host Mental Health Awareness Day Thursday, Nov. 9. 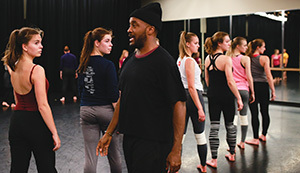 All events are free and open to UW students and the public. 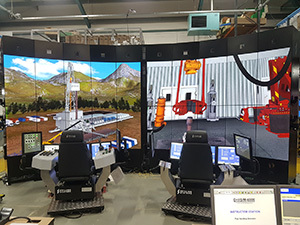 November 7, 2017 — The University of Wyoming College of Engineering and Applied Science (CEAS) will become one of the most technologically advanced institutions in the world, thanks to an agreement with Drilling Systems, one of the world's top simulation companies. November 6, 2017 — The University of Wyoming’s newly renamed Education Abroad Office is growing, with the naming of a new director and an additional adviser to help achieve UW’s strategic plan goal of increasing student and faculty participation in programs abroad. 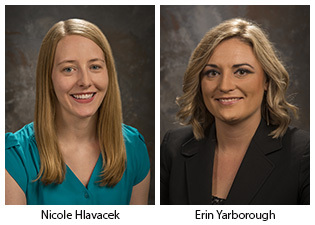 November 6, 2017 — Nicole Hlavacek and Erin Yarborough, both University of Wyoming pharmacy students, will represent the School of Pharmacy at the national Clinical Skills Competition in Orlando, Fla., during December. November 3, 2017 — University of Wyoming choirs will present “A Choral Collage” Friday, Nov. 10, at 7:30 p.m. in the Buchanan Center for the Performing Arts concert hall. November 3, 2017 — Registration for new commercial pesticide applicator training is now open, according to University of Wyoming Extension pesticide training coordinator Jeff Edwards. November 3, 2017 — A weekly look at Wyoming business questions from the Wyoming Small Business Development Center (WSBDC), part of WyomingEntrepreneur.Biz, a collection of business assistance programs at the University of Wyoming. 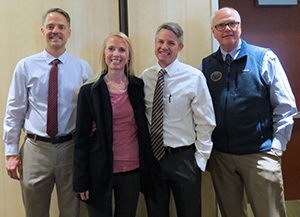 November 2, 2017 — A family physician in Cody was recently selected as the 2017 Outstanding Alumnus of the Year for the Division of Medical Education at the University of Wyoming. November 2, 2017 — The University of Wyoming’s Community Band and Civic Chorus will have their fall concert Monday, Nov. 6, at 7:30 p.m. in the Buchanan Center for the Performing Arts concert hall. November 2, 2017 — A Converse County businesswoman has been appointed to fill a vacancy on the University of Wyoming Board of Trustees. November 1, 2017 — A traditional holiday feast will be served at the annual Thanksgiving dinner Monday, Nov. 20, at 6 p.m. in the University of Wyoming Union Ballroom. The event is for UW students and open to the public. November 1, 2017 — As part of the University of Wyoming Holocaust Remembrance Week Nov. 6-10, Holocaust survivor Estelle Nadel will speak Friday, Nov. 10, at 4 p.m. in the Wyoming Union Ballroom. 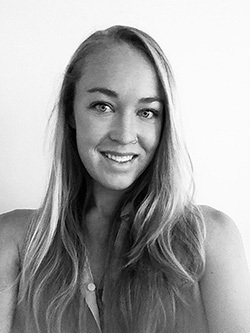 November 1, 2017 — A University of Wyoming graduate will be the guest speaker at UW’s Cybersecurity Education and Research (CEDAR) Center’s “Lunch and Learn” event Nov. 6. November 1, 2017 — A few years ago, I traveled to Egypt and found myself visiting the tombs in the Valley of the Kings, the pyramids, the mastaba burial chambers and the temples the ancient Egyptians used for conveying the dead to the next world. 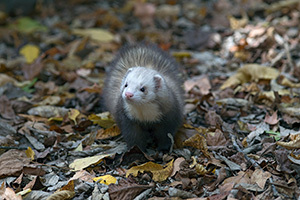 November 1, 2017 — University of Wyoming researchers studied inbred domestic ferrets and determined the mammals have low genetic diversity on a global scale, according to a paper recently published in Evolutionary Applications. October 31, 2017 — Factors influencing livestock and grain costs, price forecasts and the international trade outlook start the Range Beef Cow Symposium Tuesday-Thursday, Nov. 28-30, in Cheyenne. October 31, 2017 — Additional testing was unable to determine the type of meningitis contracted by a University of Wyoming student, UW officials say. 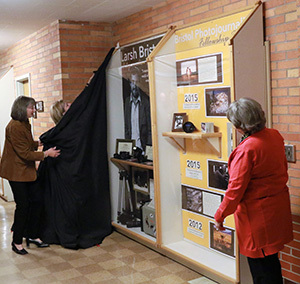 October 31, 2017 — More than 40 years after he graduated, Larsh Bristol is still positively affecting students at the University of Wyoming. 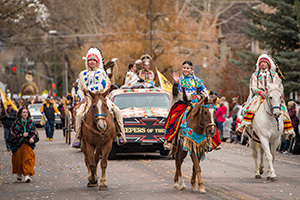 October 30, 2017 — The Keepers of the Fire Native American student organization was named the overall winner in the University of Wyoming Homecoming parade Saturday, Oct. 28. October 30, 2017 — University of Wyoming employees and students have an opportunity to learn about and provide input on the work of UW’s Engagement Task Force during a campus open forum and listening session Monday, Nov. 6, from 3-5 p.m. in the Wyoming Union Family Room. 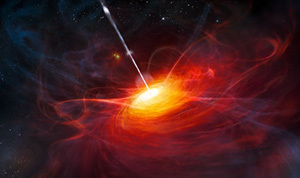 October 30, 2017 — A University of Wyoming researcher played a key role in a study that suggests a newly developed computer model can more accurately explain the diversity of quasar broad emission line regions, which are the clouds of hot, ionized gas that surround the supermassive black holes feeding in the centers of galaxies. October 30, 2017 — The University of Wyoming’s Division of Social Work is looking for a number of professional social workers to volunteer to provide off-site supervision of students who are in their practicum placements. October 27, 2017 — These are among the construction activities scheduled Oct. 29-Nov. 4 at the University of Wyoming. October 27, 2017 — Tools to help people raise and process table-safe vegetables, and even have a fruit orchard to augment operations, are part of the Farm to Market Conference Friday and Saturday, Nov. 10-11, on the Laramie County Community College campus in Cheyenne. 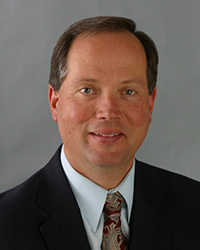 October 27, 2017 — Citing health concerns, University of Wyoming Trustee Larry Gubbels, of Douglas, has resigned from the UW Board of Trustees. 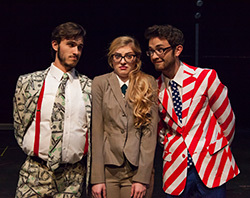 October 27, 2017 — A touring American acting troupe that stages fast-paced performances on various topics will bring its brand of entertainment to the next UW Presents program Friday, Nov. 3, and Sunday, Nov. 5, at the University of Wyoming. 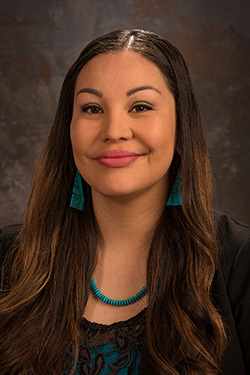 October 27, 2017 — Members of the University of Wyoming and Laramie communities who were unable to attend meetings with UW’s new chief diversity officer, Emily Monago, are invited to share their thoughts in an online survey. 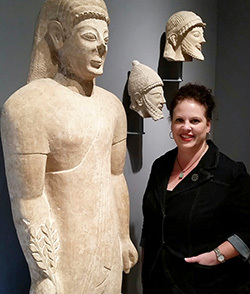 October 27, 2017 — The University of Wyoming Art Museum will offer a three-session, Friday-morning preschool class Nov. 3, 10 and 17 from 10-11 a.m. each day. October 27, 2017 — The University of Wyoming Symphony Orchestra will perform a free concert Wednesday, Nov. 1, at 7 p.m. in Casper College’s Wheeler Concert Hall. October 27, 2017 — Volunteers are needed to read the names of military members who died serving their country during a Veterans Day event Friday, Nov. 10, at the University of Wyoming. October 27, 2017 — A weekly look at Wyoming business questions from the Wyoming Small Business Development Center (WSBDC), part of WyomingEntrepreneur.Biz, a collection of business assistance programs at the University of Wyoming. 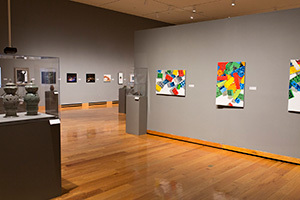 October 26, 2017 — The University of Wyoming Art Museum will host “Lunchtime Conversations with Curators” Wednesday, Nov. 1, from noon-12:30 p.m.
October 26, 2017 — With longer fall night skies, shows at the University of Wyoming Harry C. Vaughan Planetarium will begin an hour earlier during November. The schedule will continue during the winter months. October 25, 2017 — Some University of Wyoming accounting students will get a firsthand look at the life of Internal Revenue Service criminal investigation special agents during an exercise Friday, Nov. 3, on the UW campus. 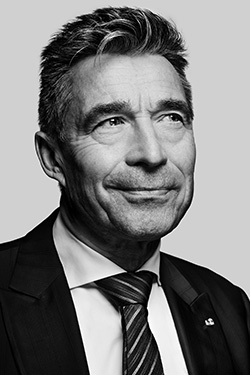 October 25, 2017 — Former Danish Prime Minister and NATO Secretary General Anders Fogh Rasmussen will discuss the future of the United States-European alliance Monday, Nov. 13, at the University of Wyoming. October 25, 2017 — A University of Wyoming student has been hospitalized and is being treated after being diagnosed with meningitis. October 24, 2017 — Members of the public will have an opportunity to view plans and offer input on the exterior design of the University of Wyoming’s Science Initiative building during a community meeting Wednesday, Nov. 1. October 24, 2017 — The University of Wyoming’s School of Energy Resources and Clean Coal Technologies Inc. (CCTI), a clean-energy company based in New York City, have signed an agreement to further develop the company’s patented technology to convert run-of-mine coal into a cleaner-burning and more efficient fuel. 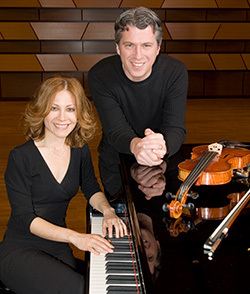 October 24, 2017 — The University of Wyoming Faculty Recital Series will feature Duo François Monday, Oct. 30, at 7:30 p.m. in the Buchanan Center for the Performing Arts recital hall. The performance is free and open to the public. 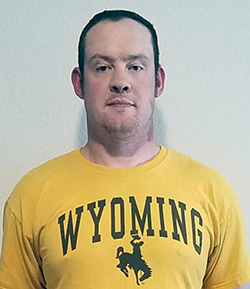 October 23, 2017 — While attending college in Laramie, Rob Streeter grew accustomed to dealing with winter days on the high plains. 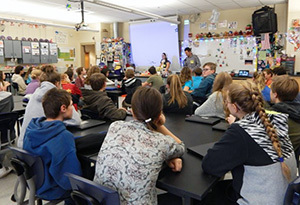 October 23, 2017 — A one-hour workshop to help University of Wyoming faculty and staff members understand the impacts of Wyoming’s new K-12 science standards is scheduled Tuesday, Oct. 31, from 11:10 a.m.-12:10 p.m. in Room 217 of the Berry Biodiversity Conservation Center. 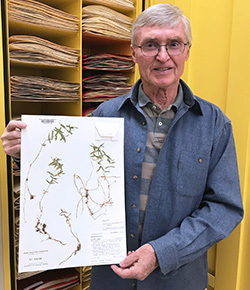 October 23, 2017 — For the second time, a genus of plants has been named in honor of Ron Hartman, an emeritus professor of botany at the University of Wyoming. October 23, 2017 — The University of Wyoming School of Pharmacy will host two Homecoming events: a reception and a tailgate. October 20, 2017 — Several free Halloween-related events for University of Wyoming students are scheduled Friday, Oct. 27. 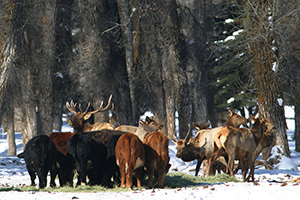 October 20, 2017 — Wildlife managers and ranchers in the greater Yellowstone ecosystem soon will have a new mapping tool for reducing the risk of brucellosis outbreaks in cattle. 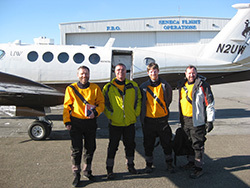 That’s thanks to research led by scientists at the University of Wyoming and the U.S. Geological Survey. 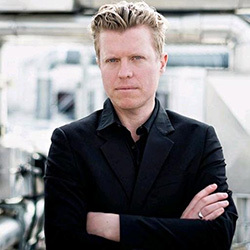 October 20, 2017 — A professor from London will discuss whether Russian gas import dependence poses a threat to European security during a free public talk Tuesday, Oct. 31, at the University of Wyoming. October 20, 2017 — A weekly look at Wyoming business questions from the Wyoming Small Business Development Center (WSBDC), part of WyomingEntrepreneur.Biz, a collection of business assistance programs at the University of Wyoming. October 19, 2017 — The Ben Markley Quartet, featuring New York City saxophonist Greg Osby, will perform a free public concert Sunday, Oct. 22, at 7:30 p.m. in the University of Wyoming Buchanan Center for the Performing Arts recital hall. October 19, 2017 — Nineteen University of Wyoming second-year students in the College of Business Master of Business Administration (MBA) Program will receive global business experience by working with counterparts from Pforzheim University in Germany. October 19, 2017 — The University of Wyoming’s 2017 Homecoming kicks off Saturday, Oct. 21, with The Big Event, UW’s student-led community service activity. October 19, 2017 — One University of Wyoming graduating senior will be selected to speak during UW’s fall commencement ceremony Dec. 16, and the offices of President Laurie Nichols and Provost Kate Miller are accepting nominations for that honor through Friday, Oct. 20. October 19, 2017 — Members of the University of Wyoming community are invited to participate in upcoming town-hall meetings regarding recommended changes to UW spring commencement activities.